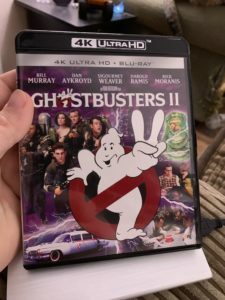 Ghostbusters II - 4K UHD Review - ReDVDit! Ghostbusters II is a 1989 American film that was directed and produced by Ivan Reitman and written by Dan Aykroyd and Harold Ramis. 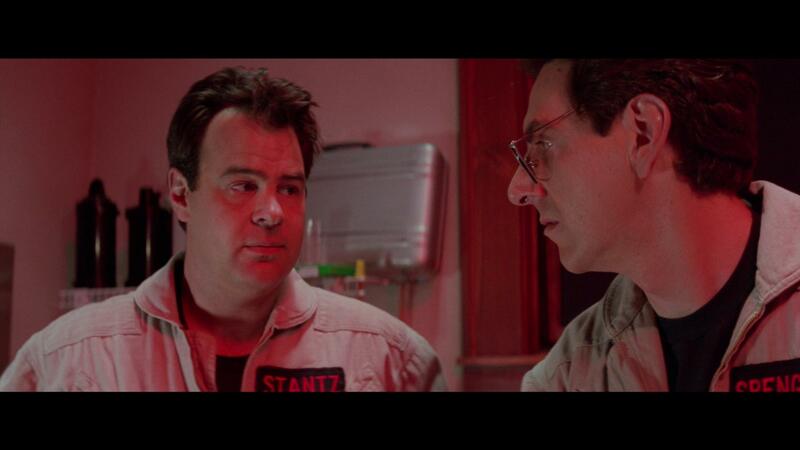 It stars Aykroyd, Bill Murray, Sigourney Weaver, Ramis, Ernie Hudson, and Rick Moranis. The sequel to the 1984 film, Ghostbusters, it see sees the Ghostbusters as they reunite to combat a new threat that’s wreaking havoc on New York City. Taking place just after they save New York City from the demi-god Gozer, the Ghostbusters are sued for property damage and are barred from investigating the supernatural, forcing them out of business. Five years later, Ray Stantz owns an occult bookstore, and works as a children’s entertainer with Winston Zeddemore, Egon Spengler works in a laboratory conducting experiments into human emotion, and Peter Venkman hosts a psychic television show. Peter’s ex-girlfriend Dana Barrett has had a son, Oscar, with an ex-husband, and works at an art museum. After Oscar’s carriage is drawn into a busy intersection by an unseen force, Dana turns to the Ghostbusters for help. Dana’s boss Janosz Poha is possessed by the spirit of Vigo the Carpathian, a sixteenth-century tyrant that’s trapped in a painting in the museum. Despite the mixed reviews, Ghostbusters II grossed $112.5 million in the United States and $215.4 million worldwide, becoming the eighth-highest-grossing film of 1989. A reboot, Ghostbusters was released on July 15, 2016, while a direct sequel, Ghostbusters 3, is scheduled to be released on July 10, 2020. Ghostbusters II is the less favorite of the two, mostly because of its particularly flat storyline; however, it manages to work and offer a semi-entertaining storyline because of the returning cast members. With the cast carrying this movie from beginning to end, it creates a pretty decent experience for viewers, and with the inclusion of Annie Potts and Rick Moranis, is a generally entertaining movie regardless of how you look at it. Presented in a true 2160p presentation, Ghostbusters II gives viewers an insanely excellent look into the story, and experience that was originally set out to be had with this movie. Having a solid amount of grain retention as it moves from shot to shot, the clarity of this release is one of the best for the format. The textures of the suits that the busters wear are more defined and detailed. The colors are broad, and distinguished. And the overall utilization of HDR provides a healthy, aggressive, and natural feeling to the entire experience. 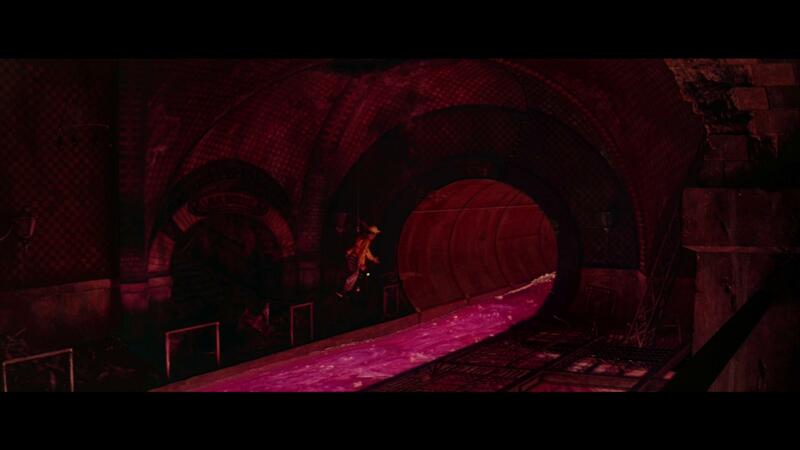 Black levels are very deep and detailed, and overall I’m genuinely happy with the visuals of this release. Bundled with an English Dolby Atmos audio track, the 4K UHD release of Ghostbusters II offers a damn fine and immersive audio experience for those of you with home theater systems. Even downplayed at TrueHD 7.1 (for non-Atmos capable systems), this track really packs a punch that can’t be forgotten. The use of the elevation aspect in the channel was appropriate and more robust that I’ve seen with these catalog releases, and really did a great job at putting us right in the middle of everything. The dialogue is spoken cleanly, and the characters are able to be heard and understood without any issues whatsoever. 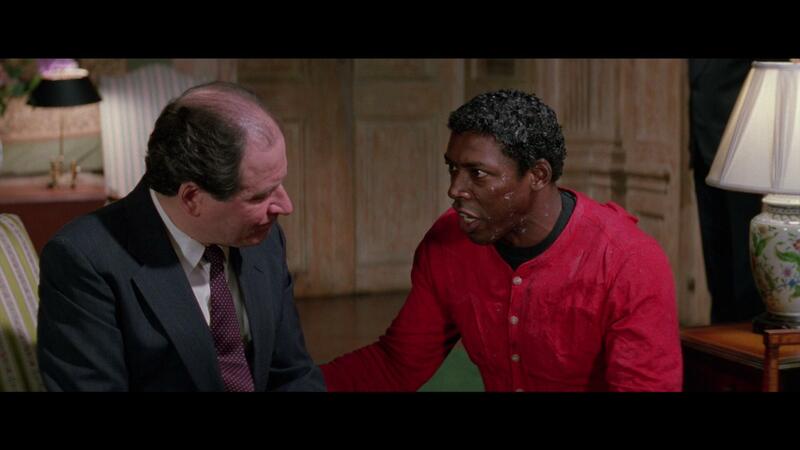 Ghostbusters II comes in a standard two-disc amaray case. 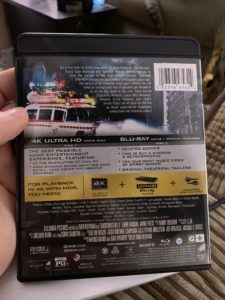 In that case, the 4K UHD copy and the standard Blu-ray copy; neither of those discs feature any artwork that’s related to the movie outside of the standard text. There is a digital copy redemption pamphlet, and if you’re lucky enough, a slipcover that was originally made available in the first pressing of the release. Unfortunately, my copy was not from that first pressing. 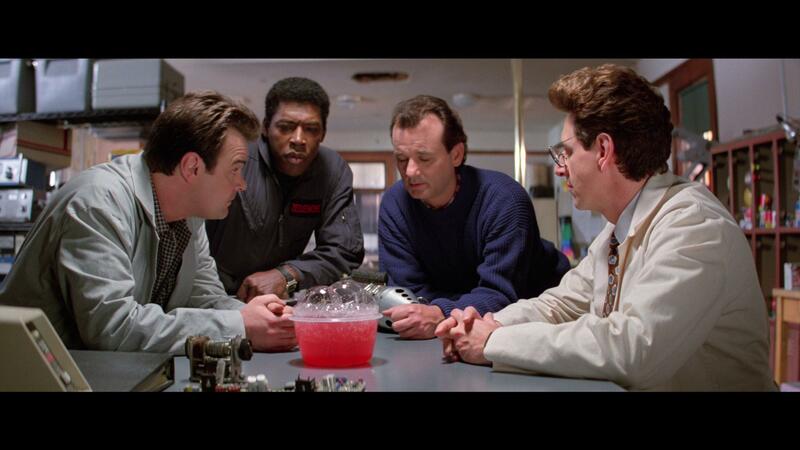 Even with the previously released “mastered in 4K” Blu-ray release, Ghostbusters II already looked pretty damn good. 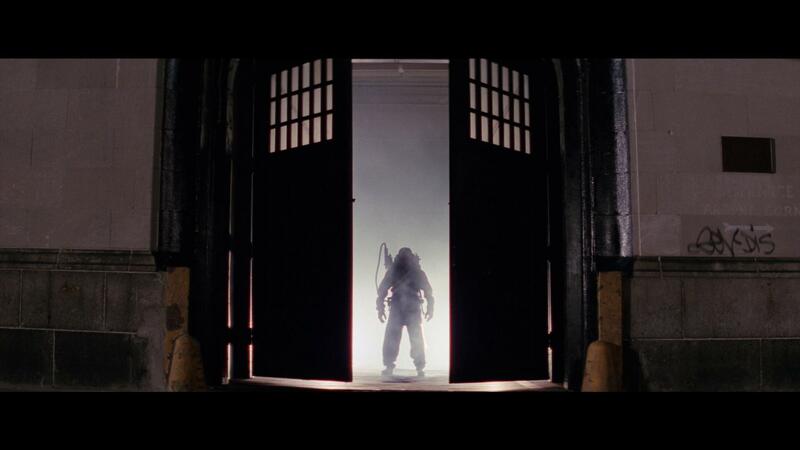 However, the 4K UHD release certainly offers up the ante, breathing new life into this classic. The visuals of this release were spectacular, and definitely the best that they’ve been. The updated audio track is an insanely phenomenal and immersive audio experience that really shines on an Atmos home theater system. If you’re considering this release for your collection, I’d recommend grabbing it, especially if you’re picking the first one up too. 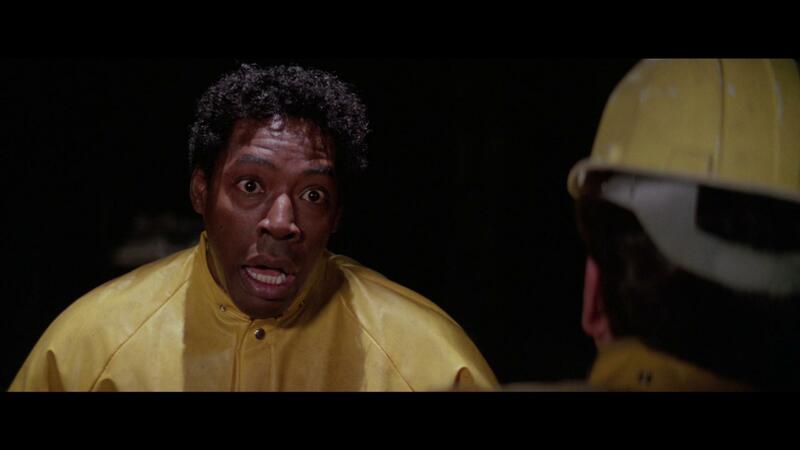 Ghostbusters II is readily available on 4K UHD.